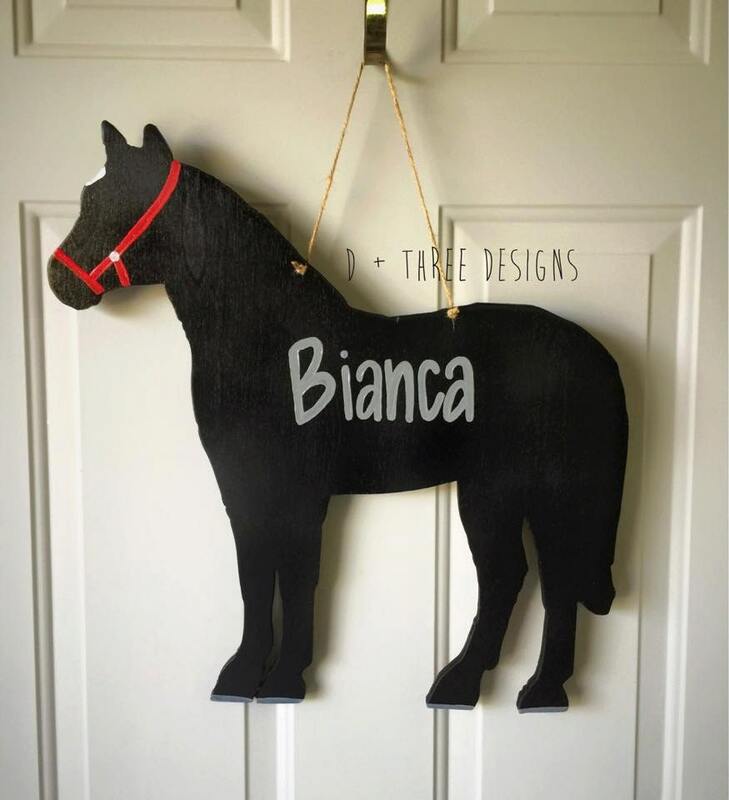 This is the perfect gift for any horse lover or horse owner! This hand painted wooden horse is HUGE and is so southern with the big burlap bow! It measures at appoximately 19" tall x 24" wide. This is some true southern charm! It is made of 1/2 birch wood and comes sealed and with a twine hanger so it is ready to be hung up straight out of the box! Please let us know what name you would like on the horse in the "notes to seller" box upon check out. 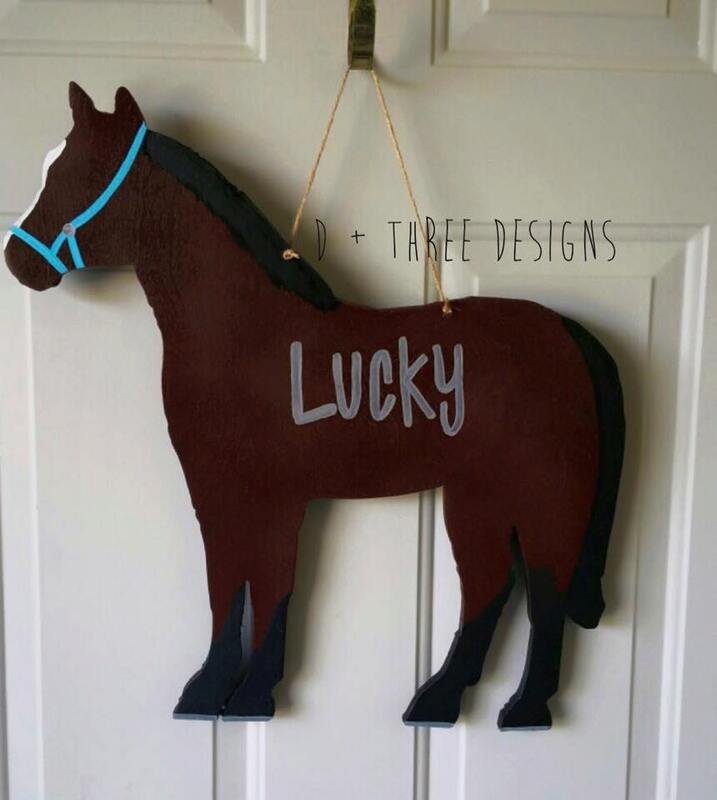 Send us a photo of the horse you want use to design and we will match it to make the perfect horse decor piece. We LOVE custom requests so if there is a different font, coloring, different wording, or if you have an idea send us a message!